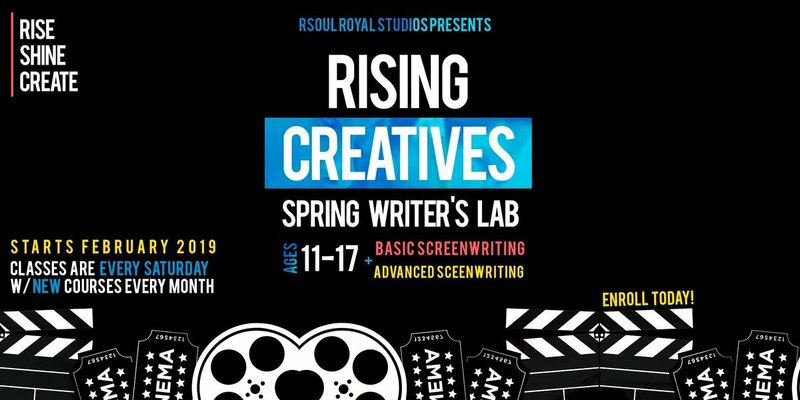 Could your young person be the next big Hollywood #screenwriter? Here at Rsoul Royal Studios we think they can be! We have developed a Writer’s Lab to cultivate their writing gifts. 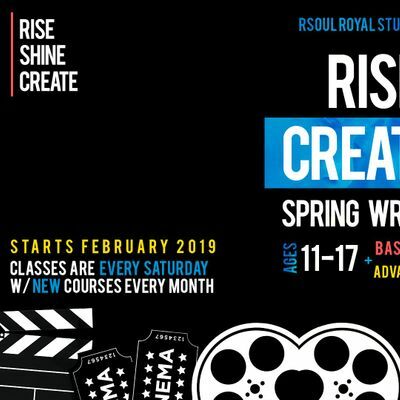 Spring Classes will be held on Saturdays starting February 2019 with TEN week sessions. We’re covering everything from storytelling to editing and everything in between. Enroll your child (6th-12th grade) today. Investing in their future is worth it! Spots are filling fast!!! NEW COURSES EACH SESSION! Single class Drop in rates are available, but it is highly recommend to enroll for the entire semester. LATE Registration is Aviliable! If you register After Feb 16th that is okay your student will be given the material each session provides new materials so your student wont miss a beat!